The Design and Construction industry is in a state of attempted change. Improvement is a key word for employer, consultant and contractor. Real steps forward are slow, and most damning is the continuous repetition of the same mistakes. Communication in the Design Process considers the gap that can exist between client expectation and realisation in building projects. 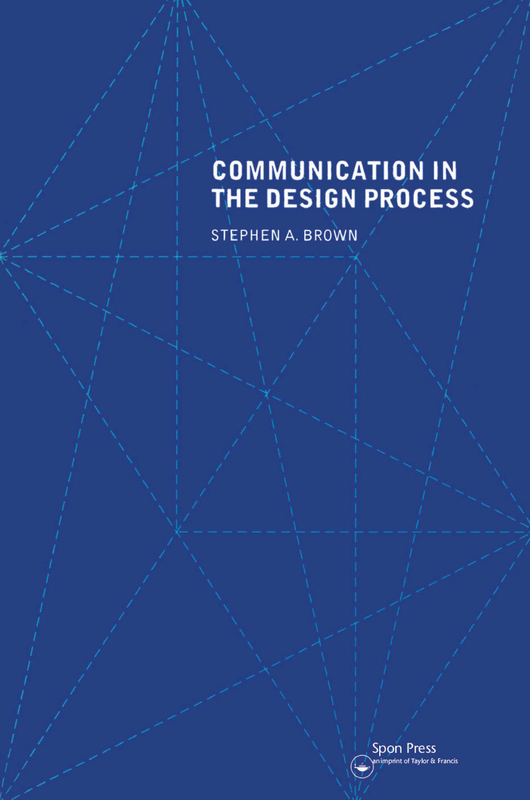 It focuses on the communication interface between the employer and the consultant design team, and specifically on the areas of function, finance, timescale and aesthetics. This book includes an extensive review of current thinking and guidance on this and other related subjects. New data is obtained from a survey using questionnaires and personal semi-structured interviews. Data is presented graphically, analysed and compared with practice as defined in current literature.